CEO Tim Cook said the $349 device aims to 'reinvent home audio' at Apple's Worldwide Developers Conference on Monday. Updated from 4:56 p.m. with analyst comments. Apple (AAPL - Get Report) finally has a horse in one of the hottest consumer tech categories around. The tech giant on Monday unveiled the HomePod, a Siri-powered smart speaker that Apple CEO Tim Cook said is aimed at "reinventing home audio" at the company's annual Worldwide Developers Conference in San Jose, Calif. The $349 device -- shipping in December for the U.S., U.K. and Australia -- stands at seven inches tall, is wrapped in mesh fabric and comes packed with the same dual-core A8 chip used in the iPhone 6, giving it the "biggest brain ever in a speaker," according to Apple's marketing chief Phil Schiller. By comparison, the HomePod costs $120 more than Amazon's (AMZN - Get Report) latest touchscreen-sporting Echo Show, $220 more than Alphabet's (GOOGL - Get Report) Google Home and $300 more than the no-frills Echo Dot. The HomePod is also integrated with Apple's HomeKit smart home platform and can complete HomeKit commands, like turning on air conditioning and adjusting window blinds. It can also read the news, play podcasts, send messages and complete other tasks. As its name suggests, the HomePod appears meant to be a music-focused complement to its legacy iPod music player and AirPod wireless headphones. The HomePod works with Apple Music and has six microphones and a four-inch woofer speaker with seven beam-forming tweeters that are meant to give the device better acoustics and listening capabilities. The speaker also has spatial awareness and energy detection technology so that it can automatically adjust the speaker's volume depending on how far away the listener is from the device. As Schiller introduced the device, he acknowledged that there are several other smart home speakers available on the market. But so far, he argued, none of Apple's competitors have "reinvented" how consumers listen to music in their homes. That's where the HomePod is expected to step in, Schiller said. Intense competition is likely what pushed Apple to announce the HomePod more than six months in advance of its release date, said IHS Markit analyst Lee Ratliff. "It's not typical of them to announce it so far ahead of time," Ratliff explained. "I'm sure they made every effort to get it in before Christmas and even that is probably a pretty aggressive date." The HomePod may also do more than just compete with the Amazon Echo and Google Home. By positioning the product as a high-end smart home speaker, Apple could be trying to take on Sonos as well, with the added benefit of being able to offer additional Apple services to consumers, Ratliff said. Even with the HomePods vast array of compatible Apple devices, Amazon's Echo Dot is a bargain compared to the HomePod, making it accessible to a far bigger customer base. "Clearly it's not going to be an Echo destroyer," Ratliff said. 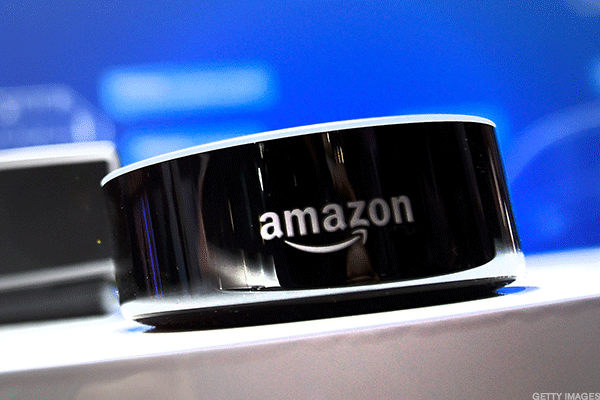 "I would expect that this will have little to no impact on Amazon's Echo sales." The $49.99 Echo Dot has taken the voice-activated speaker market by storm since being released in March 2016. Amazon essentially created the smart home speaker category with its introduction of the Alexa-powered Echo in November 2014, and the category has grown rapidly since. 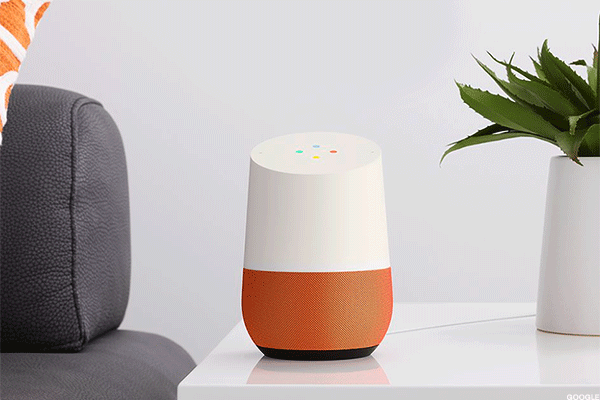 Google released its Home product in May 2016, and Amazon has expanded its line of Alexa-enabled speakers, which now spans five different products including the Echo Dot, the portable Tap, the soon-to-be-released Echo Show and the Echo Look, which is only available by invitation for now. Meanwhile, Apple's Siri digital assistant was first introduced with the iPhone 4S back in 2011, years before Amazon unveiled its Alexa-powered devices. But since then, Siri has largely fallen behind Alexa and Google Assistant, owing largely to the fact that Apple initially vowed not to open its platform up to developers. Apple attempted to catch up when it introduced HomeKit at WWDC 2014, but even then, it had no voice-activated speaker in which to house the technology. In Apple's absence, Google and Amazon have quickly capitalized on the smart home speaker market. eMarketer estimates that Amazon's Echo has a 71% share of the U.S. voice-controlled speaker market of about 35.6 million Americans, while the $109 Google Home is estimated to have about 24% of the market. Amid growing competition, tech giants have tried to differentiate themselves by making their digital assistants capable of completing more sophisticated tasks. Google Home has excellent voice recognition capabilities, but Amazon's Alexa is accessible to third-party developers, which is what allows it to have more than 10,000 "skills," such as helping users plan a trip, order an Uber or Lyft and make phone calls, among other tasks. The $109 Google Home can complete more than 10,000 tasks. The launch of Apple's HomePod further underscores how voice and visual technology are poised to be the future of consumer technology. Nearly one-fifth of the population is believed to use a virtual assistant once a day, according to eMarketer, and Apple said more than 375 million devices are actively using Siri. "Everyone wants more from Apple -- the company promises this closed platform experience, one that is easy and that I can take with me anywhere," said Michael Levine, vice president of marketing at Photon, a digital voice and visual technology provider. "The home is the one place Apple has missed on and voice within the home is a natural sense used in the home."